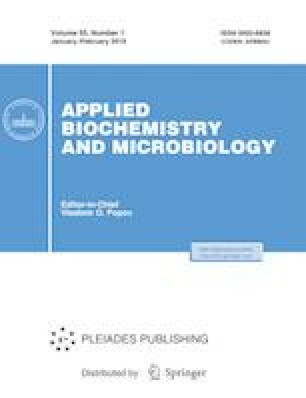 Inhibition of the autoxidation of polyunsaturated fatty acid methyl esters isolated from fish oil by essential oils of clove, oregano and their mixture has been studied. Their content was determined after 1–6 months of autoxidation by capillary gas chromatography to assess antioxidant efficiency. It has been shown that the essential oils of clove and oregano and their combination effectively inhibited the autoxidation of polyunsaturated fatty acids. The degree of this inhibition depended on the structure of fatty acids and the composition of their mixtures, as well as on the essential oil content and duration of autoxidation. It was shown that an increase in the number of double bonds in unsaturated acid molecules resulted in a decreased resistance of their esters to oxidation. In the control, 97% of monounsaturated acids and only 9% of docosahexaenoic acid remained after 3 months of autoxidation. Clove essential oils at concentrations of 2 and 4% inhibited oxidation with equal efficiency; after 3 months, 86–91% of esters of acids with five and six double bonds remained. Oregano essential oil was less effective as an antioxidant than the clove. Thus, up to 79% of methyl eicosapentaenoate and 73% of methyl docosahexaenoate remained after 3 months of autoxidation in its presence. After 6 months of autoxidation, the methyl eicosapentaenoate and docosahexaenoate contents were 67 and 54% in the presence of 4% clove oil and only 11 and 7%, respectively, with 1% oil. The inhibitory activity of 4% oregano oil and 2% clove oil turned out to be almost the same, and a similar content of all unoxidized acids was observed in the presence of 1% oils. A mixture of clove and oregano essential oils showed an additive antioxidant effect on arachidonic and eicosapentaenoic acids esters and a synergistic effect on docosahexaenoic acid ester.